Across the nation, everyone is gearing up for back to school. I see parents making comments ranging from, “Woohoo! Can’t wait!” all the way to “Boohoo! What will I do?” Transitions are hard. They are hard on the kids and hard on the mamas. But there are ways that can make it easier for everyone AND to make it last the entire school year. 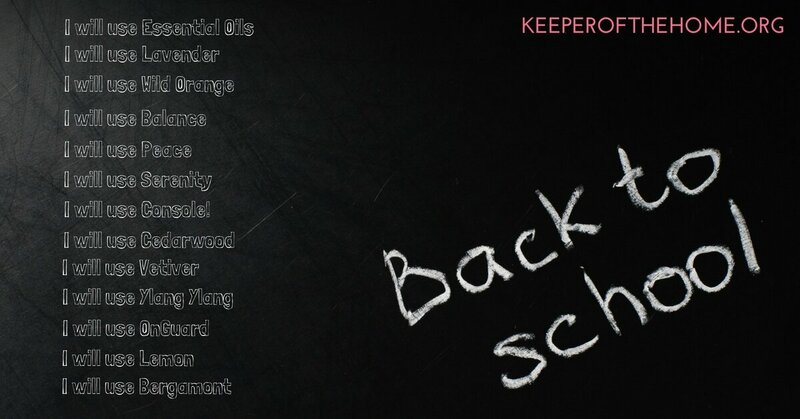 What are the issues faced with back to school? 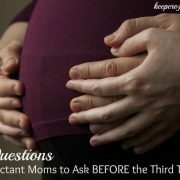 I asked my Mom, friends, and followers and came up with a few topics. Do you have more you would add? It is our first day of kindergarten, how do I help my child adjust? And more importantly, how do I survive? My teenager stayed up every night and slept all day, how do I get his sleep schedule back on track? My child is always nervous during school particularly around tests, how can I help her adjust? We bring home every germ and bug that hits the school, how do I boost our energy and immune systems? Our imagination is always worse than the reality, so don’t leave anything to the imagination! There is an important reason for Back to School night, so don’t miss it if your school offers one! The reason is to take the mystery out of the classroom, what will happen during the day, and who will be there. Walk your child through their day so they know what to expect. If your teacher does not offer a Back to School night, consider contacting your teacher and see if you can stop by while the teacher is setting up and walk through the day. 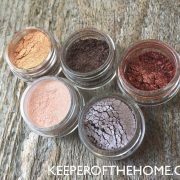 Another way to ease into a transition is to take comforting objects to help get through it. Here is a place essential oils can add extra support. Ever ignore the hype when someone told you it would all be okay? Yeah, our brains don’t listen to that. But, the brain understands smells and smells can create comfort. Think the smells of home, the comfort of fresh baked cookies, and the smell right after a rain. 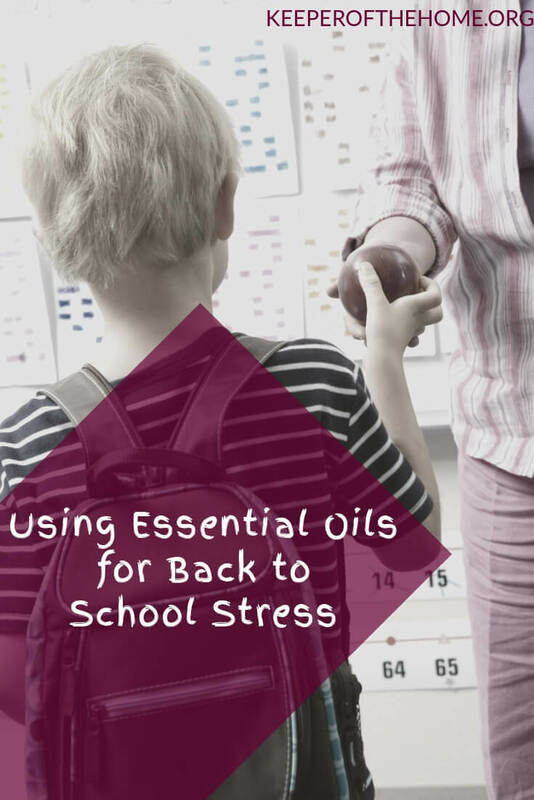 Using essential oils at home and transitioning them to the school will help bring the comforts of home in a small drop. New to oils? 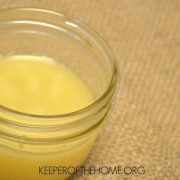 Be sure to check out Dr. Julie’s essential oil safety tips, too! 2. For much-needed Sleep, sweet sleep! 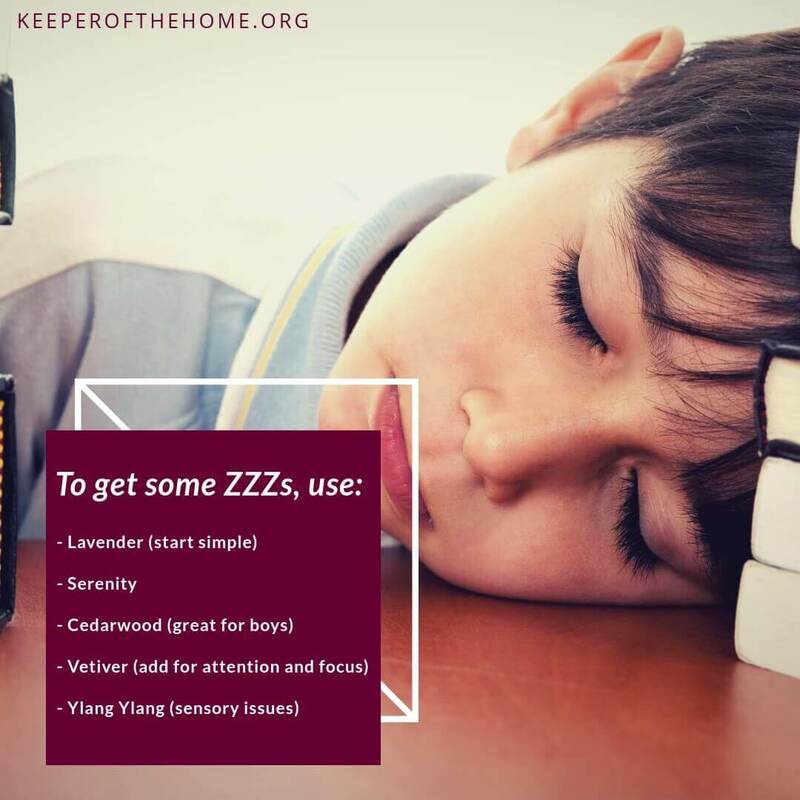 Sleep is one of the primary areas that bring people to essential oils. 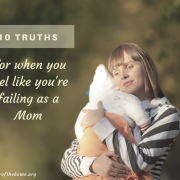 My mom had a theory when we were growing up that there was no need to start a transition period back into early mornings after a summer of late nights. I was the teenager that would stay up all night and then sleep until the clock turned back over into single digits. My mom figured that first week would be hard, but you’ll get back through it. My goal for my teenager is to get him into a good sleep cycle with periods of deep sleep and periods of REM sleep. These 2.5 hour cycles are what create true rest and refresh our brains. So, how do you do that? Yes, regular bedtimes and wake times are important. Cool rooms, white noise… all those key points. But I never slept well until finding essential oils. And the ability to personalize them for the personalities of my kids has been phenomenal. After all, the sleep patterns of my 14 year old, attention challenged, teenage boy are very different than the sleep needs of my 8 year old, sensory sensitive, difficult temperament daughter. We have CREATED anxiety in our children because we are not matching our classroom programs to the stages of brain development. You cannot always rescue them from every challenge they face. It is important to not take those learning opportunities away from them, but you can send in comfort and support to ease the way. 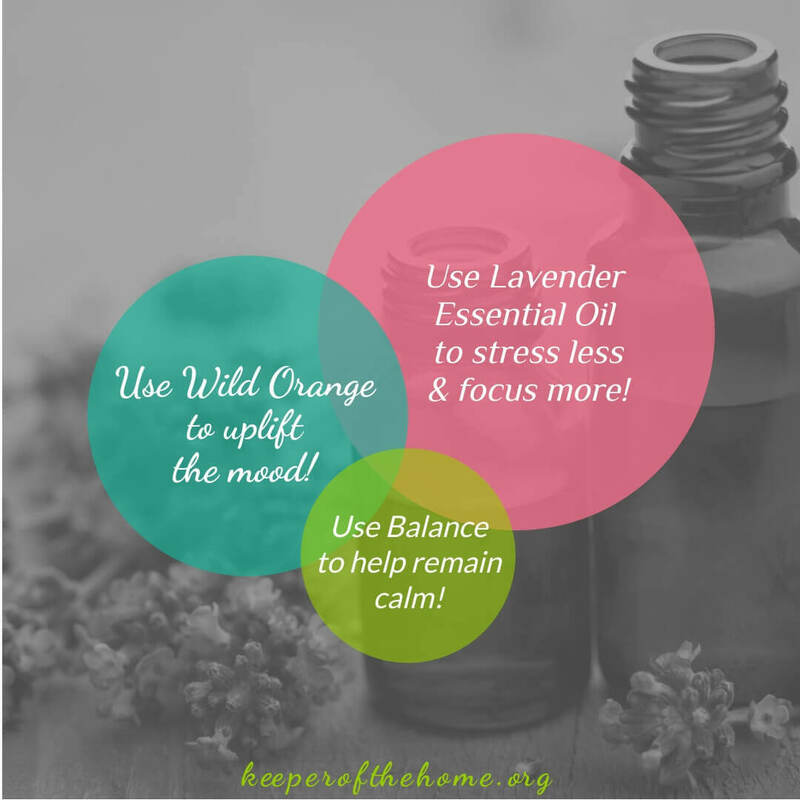 A small drop in the hand or on a diffuser necklace or bracelet can bring an immediate sense of calmness and control. And best of all, they all smell great so no one is going to think it is weird! 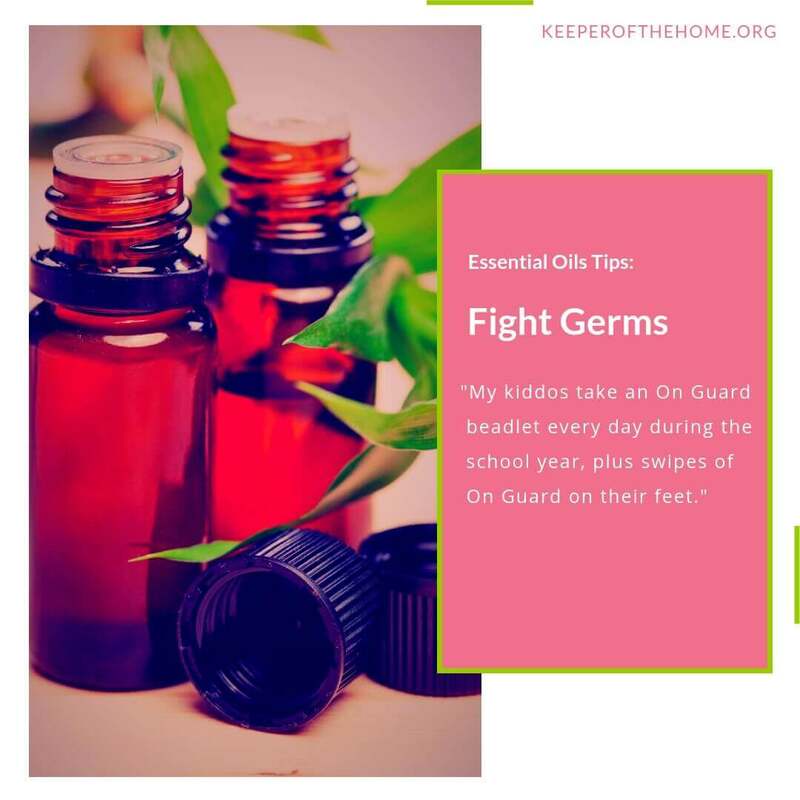 Don’t wait for the germs to come home to start fighting the symptoms. Be preventative right away. My kiddos take an On Guard beadlet every day during the school year, plus swipes of On Guard on their feet. 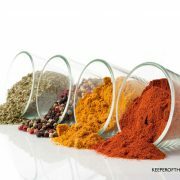 Good vitamin supplements including omega oils, and immune boosting essential oils. 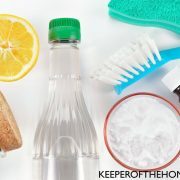 They wipe down water fountains, door handles, and phones with an essential oil spray. No need to fear the germs, you got this! 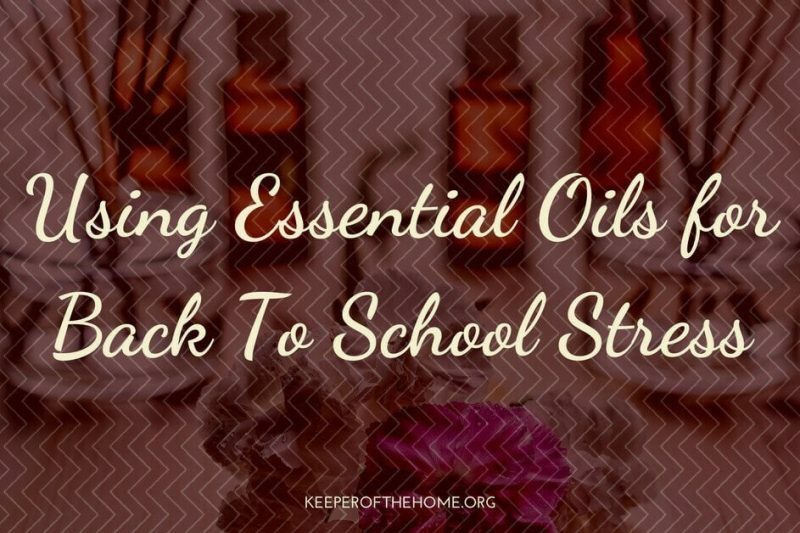 Those are a few of my beginning tips for handling back to school and adding essential oils into your routines. If you have other questions, feel free to add them to the comments and we can continue the suggestions and problem-solving! 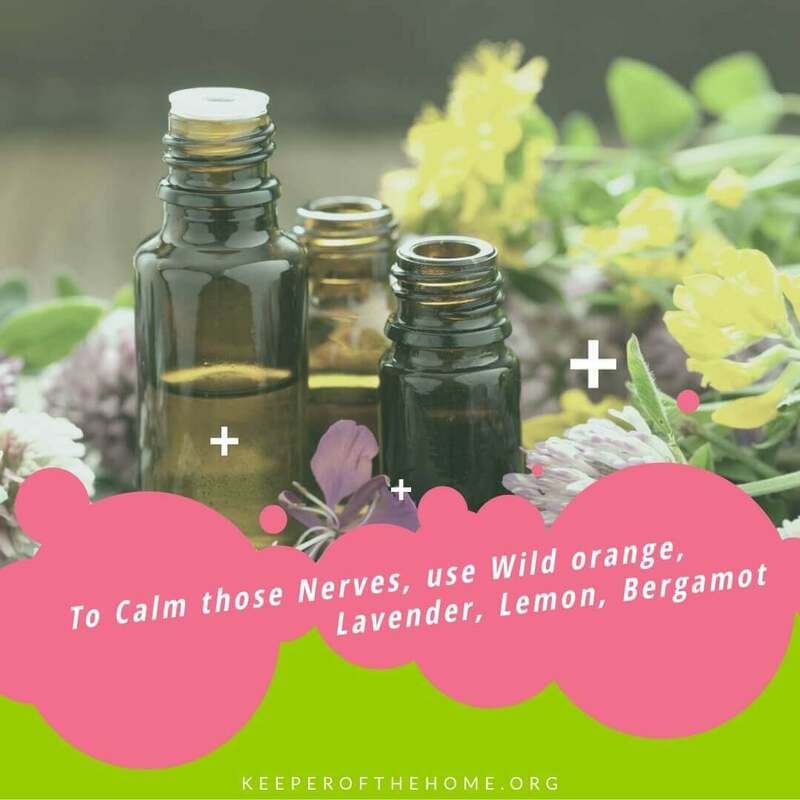 If you want to learn more about essential oils, be sure to check out all of our posts on essential oils! Thanks Ann Timm for such kind of valuable info about Essential Oils. Most people use their essential oils without knowing their benefits at all. 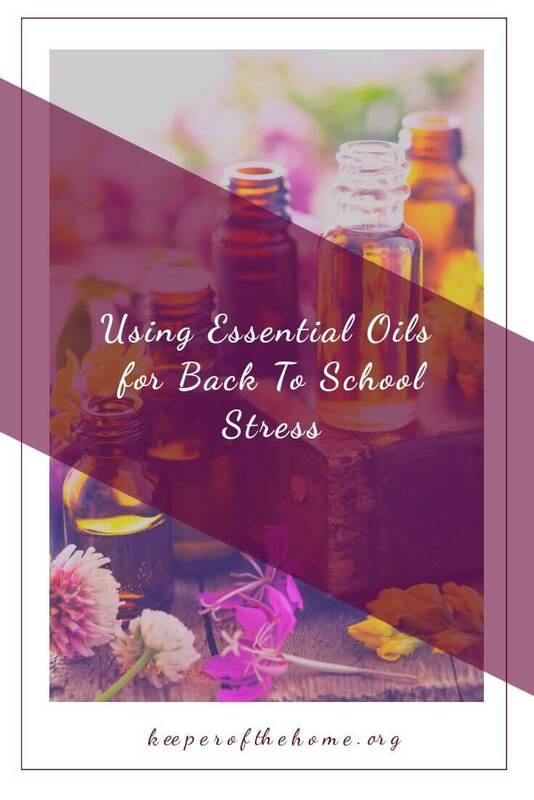 I was searching this kind of post to know more about Essential Oils before purchasing them. Finally got this one! Thanks again.Waiting to hear more about essential oils from you.